Recommended for audiences up to 300 -12-speaker articulated line array delivers 180-degree horizontal sound coverage -Produces consistent tonal balance with less volume drop-off over distance - Lightweight, interconnecting pieces allow for easy transport, setup and breakdown - Four-channel ToneMatch audio engine with studio class effects -B1 bass module included Spend less time setting up your gear and more time enjoying it. The new L1 Model 1S portable line array system delivers a potent combination of portability and performance. 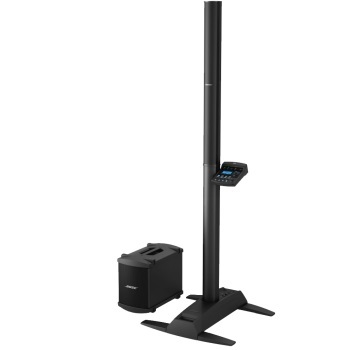 It's compact and light enough to make setup quick and easy, yet powerful enough to fill a mid-sized venue. This system works well for solo musicians, bands and public speakers. And the ToneMatch audio engine provides a suite of studio-class effects and tone-shaping tools to give you just the sound you're looking for. Includes one B1 bass module for enhanced low-end performance.